Spenser was born in 1552, and educated in London at the Merchant Taylors’ School. He went to Ireland in the 1570s, during the Elizabethan re-conquest of the country, to acquire land and wealth there. From 1579 to 1580, he served with the English forces during the second of the Desmond Rebellions, and afterwards was awarded lands in Cork that had been confiscated from the rebels in the Munster Plantation. 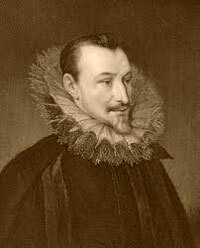 Amongst his acquaintances in the area was Walter Raleigh who, like Spencer, had been granted land in Munster. The first poem to earn Spenser notability was a collection of eclogues called The Shepheardes Calendar, written from the point of view of various shepherds throughout the months of the year. The poem is an allegory symbolizing the state of humanity. The diversity of forms and meters, ranging from accentual-syllabic to purely accentual, and including such departures as the sestina in “August,” gave Spenser’s contemporaries a clue to the range of his powers and won him praise in his day. The Faerie Queene is his major contribution to English poetry. The poem is a long, dense allegory, in the epic form, of Christian virtues, tied into England’s mythology of King Arthur. Spenser intended to complete twelve books of the poem, but managed only six before his death. The work remains the longest epic poem in the English language, and has inspired writers from John Milton and John Keats through James Joyce and Ezra Pound. He devised a verse form for The Faerie Queene that has come to be known as the “Spenserian stanza,” and which has since been applied in poetry by the likes of William Wordsworth, John Keats, and Alfred Lord Tennyson. The language of his poetry is purposely archaic. It reminds readers of earlier works as The Canterbury Tales of Geoffrey Chaucer, whom Spenser greatly admired. Spenser’s Epithalamion is the most admired of its type in the English language. It was written for his wedding to his young bride, Elizabeth Boyle. Spenser is often overshadowed by William Shakespeare. For a modern take at Spenser, see Camille Paglia’s Sexual Personae.